DACULA - As the famous twang of Hank Williams Jr. blasted from an SUV stereo Friday afternoon, about 30 folks socialized, sipped soda and puffed on cigarettes. No, this wasn't a Fourth of July backyard barbecue. It was the run-up to a wedding. 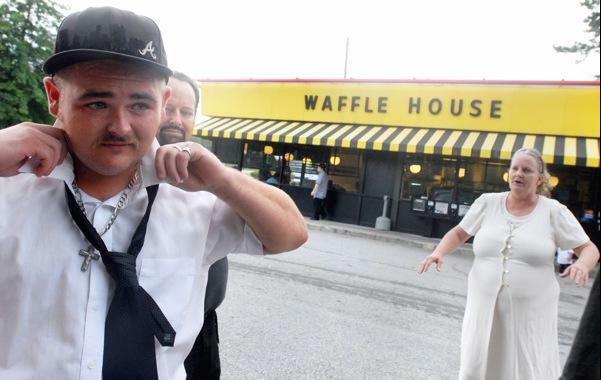 In a Waffle House parking lot.